Bakutel sajam (2.12-5.12.2014.) - Network Manager d.o.o. 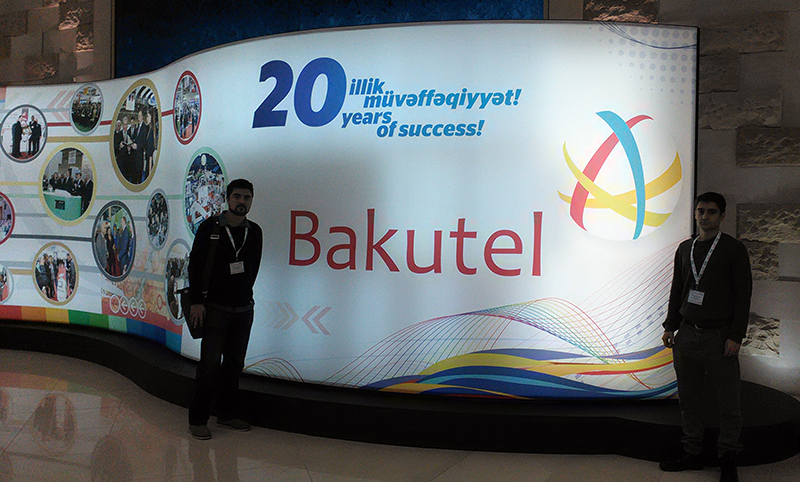 Representatives of the Network Manager visited the Bakutel, conference dedicated to telecommunications and information technologies, which was held in Baku, capital of Azerbaijan. It was an opportunity to realize a large number of contacts with representatives of the companies in the field of IT operating in Azerbaijan and the Caspian region and to recognize the great potential of this market. Especially good impression on us left Azeri people we met, their warmth and openness regardless of whether we were at the conference, street, airport, taxi, hotel. All this has convinced us that the Azerbaijani market should be one of the more important in the future.